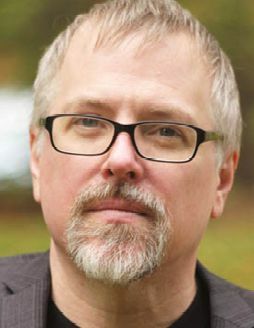 Jeff VanderMeer is the award-winning author of Borne and the sci-fi trilogy that began with Annihilation, now a major motion picture. Below, the writer once dubbed the King of Weird Fiction names six of his favorite big, challenging reads. Big Questions by Anders Nilsen (Drawn and Quarterly, $45). This sprawling graphic novel starts, more or less, with a plane crash, then opens up to include the existential travails of snakes and birds drawn to the crash site. The initial disaster transitions into an unsettling yet mesmerizing examination of both nature and culture. 2666 by Roberto Bolaño (Picador, $25). In this mysterious, deeply human novel, an epidemic of murders of women in a Mexican city unfolds alongside—among other threads—the exploits of some traveling philosophers. The book’s myriad loose ends convey a sense of the vast confusion, absurdity, and horror of life. The Ravicka series by Renee Gladman (Dorothy, $16 each). In four slim novels—Event Factory, The Ravickians, Ana Patova Crosses a Bridge, and Houses of Ravicka—Gladman challenges conventional ideas about identity and place, rewiring our brains as the characters explore an imaginary city-state. More Kafka than Kafka, Gladman’s achievement ranks alongside any of Borges’ in its creation of a fantastical landscape with deep psychological impact. Lanark by Alasdair Gray (Canongate, $16). In the terrible afterworld of Unthank, giant mouths descend from the sky to devour the main character. As he is swallowed up, so is the reader. The boldness of Lanark lies not just in the fantastical elements, though, but also in how the author combines those elements with socialist commentary, a coming-of-age story, and an unforgettable portrait of a fictionalized Glasgow. The Kills by Richard House (Picador, $35). One of the best novels about the collateral damage of the second U.S.-Iraq war, The Kills is also a tale of horror, fate, the arbitrariness of interpersonal connections, and the mysteries we can never solve. It’s by far the most underrated novel on this list and a must for fans of 2666.